Quality eye care and personal attention are our focus at Family Eye Care. We are a family optometry practice that prides itself on the individual care and attention we provide all of our patients. Your entire family is welcome at our office. We are located in Kennewick, Washington, and our specialties include pediatrics, sports vision, hard to fit contacts, as well as disease management and routine vision. We work closely with local specialists to manage diabetic patients. We also accept walk-in eye emergencies. In addition, we work closely with local ophthalmologists to coordinate surgeries such as cataract care or LASIK. Our goal is to serve our patients by helping them with their personal eye health and providing them with professional and state-of-the-art eye care. We believe that healthy eyesight is vital to a high-quality of life both of which we are committed to! For your convenience, our doctors are now available through email for after hour emergencies and urgent questions. 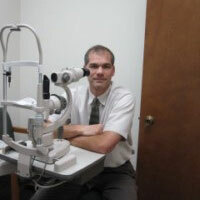 Dr. Bruce Robertson graduated from Pacific University’s College of Optometry in Oregon State. He has been with Family Eye Care since 1997 and enjoys seeing patients of all ages. He speaks Spanish fluently. He is very family oriented and is active in his church. In addition, he enjoys sports and outdoors activities. Dr. Boyd Robertson was born and raised in the Tri-Cities. He received a Bachelor of Science in Zoology from Washington State University in 1998, and a Doctorate of Optometry from Pacific University in 2003. He has worked for Family Eye Care since 2003. Dr. Robertson speaks Spanish and Portuguese. He enjoys seeing patients of all ages, cultures and walks of life. His spare time is filled with family activities. 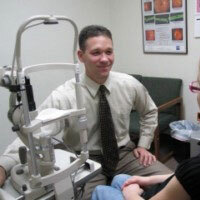 Dr. Brian Jacks graduated with a Bachelor of Science from Brigham Young University in 2004, and then received a Doctorate of Optometry in May of 2009 from Pacific University in Oregon State. Proceeding graduation he spent his elective rotations learning more about disease management at the Walla Walla Veterans Administration Medical Center, and primary care optometry at Fort Lewis in Tacoma, Washington. He’s also had advanced training in managing patients with vision problems following traumatic brain injuries or strokes. 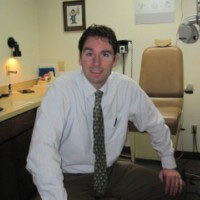 Being the father of four young children, he enjoys pediatric eye care. He also makes routine visits to local nursing homes. He enjoys seeing patients of all ages and is fluent in English and German. 7903 W. Grandridge Blvd. Suite A.